During NVIDIA’s recent GTC announcements the world was shown the new Titian X with 12GB of GDDR5. This impressive monster of a card has shown that it has a large amount of power to push your games and other graphical information. While the Titian X received adoration and several very positive reviews from the technical press there was another story that was also very important. This was the conversation about NVIDIA’s next GPU, Pascal. The Pascal name is taken from the 15th century mathematician Blaise Pascal, just like Fermi and Kepler. 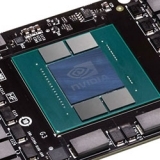 As NVIDIA moves their GPUs away from just being about processing graphical information and more to raw engines for number crunching the names are rather appropriate. However, as with faster and more powerful CPUs the bottle neck is not how many ones and zeroes you can handle, but how to keep the data flowing to the GPU/CPU. The problem here has always been one of memory, GPUs are increasingly more memory hungry than before. They need larger and faster frame buffers to keep things going. GDDR5 is simply not going to cut the next jump in graphical fidelity. To get around this little problem both AMD and NVIDIA were looking to move forward with HBM (High Bandwidth Memory). This is really a no brainer, but there are two types of HBM, 3D and 2.5D. The differences between the two are fairly significant. 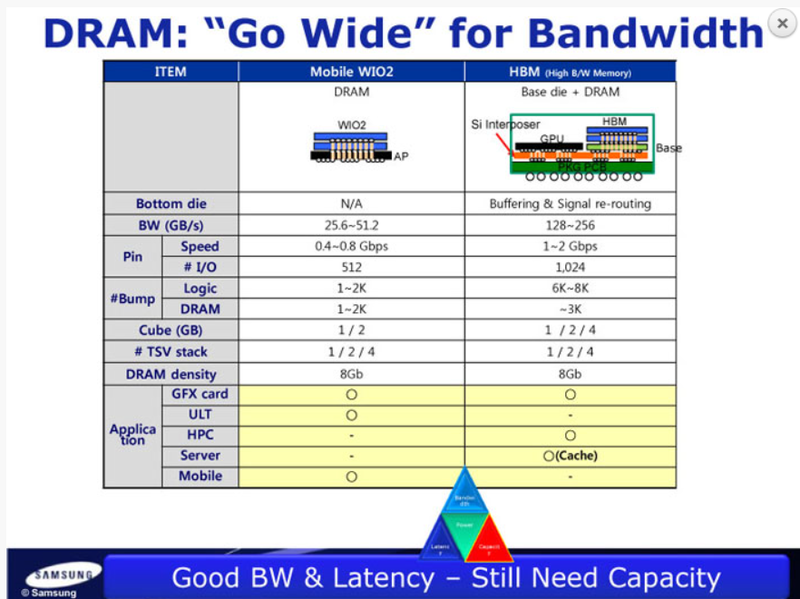 In traditional 3D HBM you have the memory stack that rides on top of the logic chip (think CPU/GPU). The memory is connected using TSVs (through silicon vias) or paths through the memory ICs in the stack. 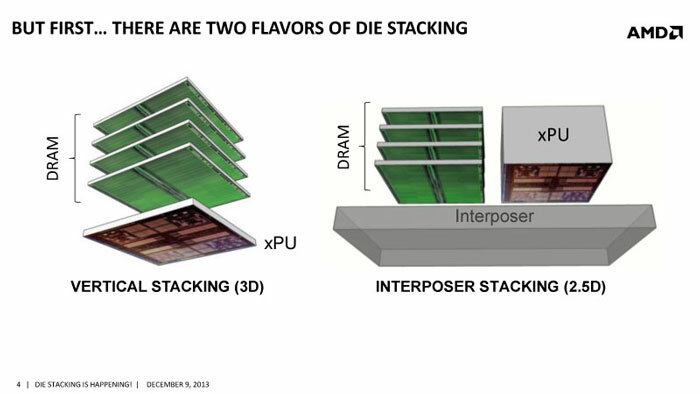 In 2.5D you have the same stack of memory using TSVs, but the logic chip and memory sit in top of an interposer which facilitates communication and requires less changes to the GPU to implement. 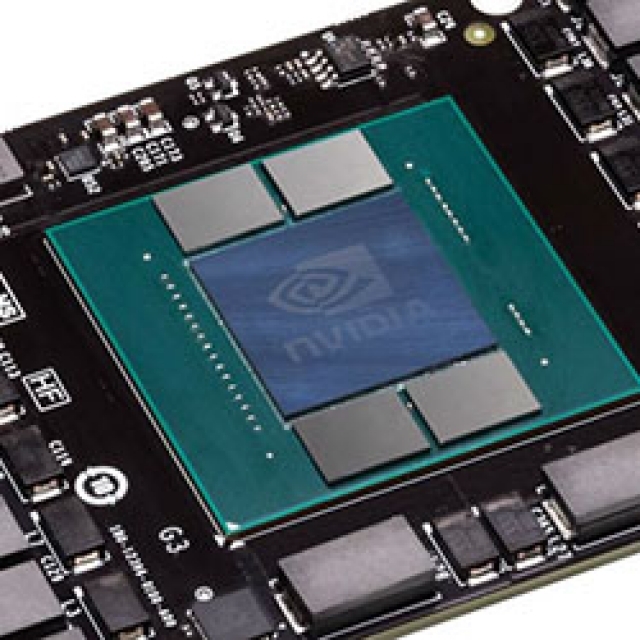 Both AMD and NVIDIA have opted for 2.5D for their GPUs.